Martha Berry Digital Archive | Cheques and Cash received as a result of the Service at St. Bartholomew's Church. 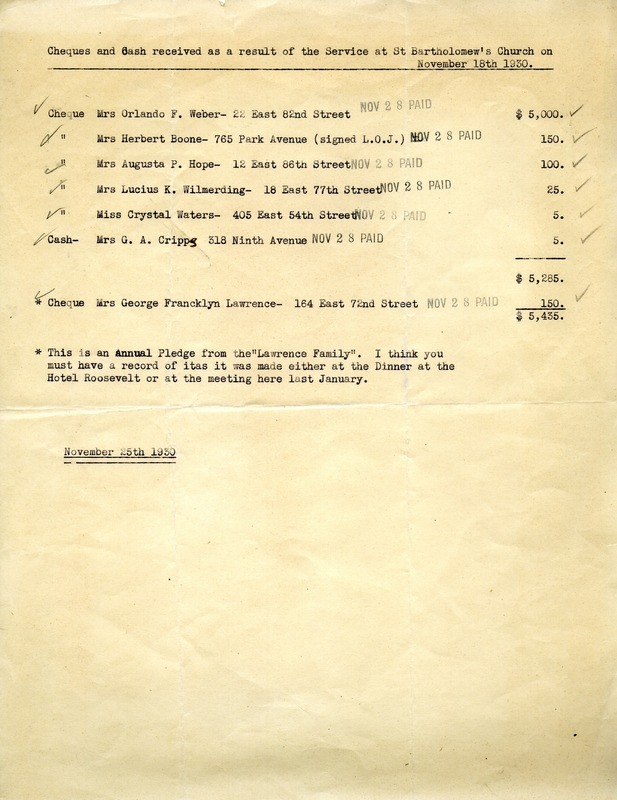 Miss Martha McChesney Berry, “Cheques and Cash received as a result of the Service at St. Bartholomew's Church..” Martha Berry Digital Archive. Eds. Schlitz, Stephanie A., Kyle Dodrill, et al. Mount Berry: Berry College, 2013. accessed April 19, 2019, https://mbda.berry.edu/items/show/12892.